What happens when you decide to do your session even though it's pouring outside? Magic. That's what happens. Pure MAGIC. As we got closer and closer to Sarah and Dan's session time, the skies, darkened, the winds, picked up, and by the time the session was scheduled to start the skies opened up. Deluge comes to mind. 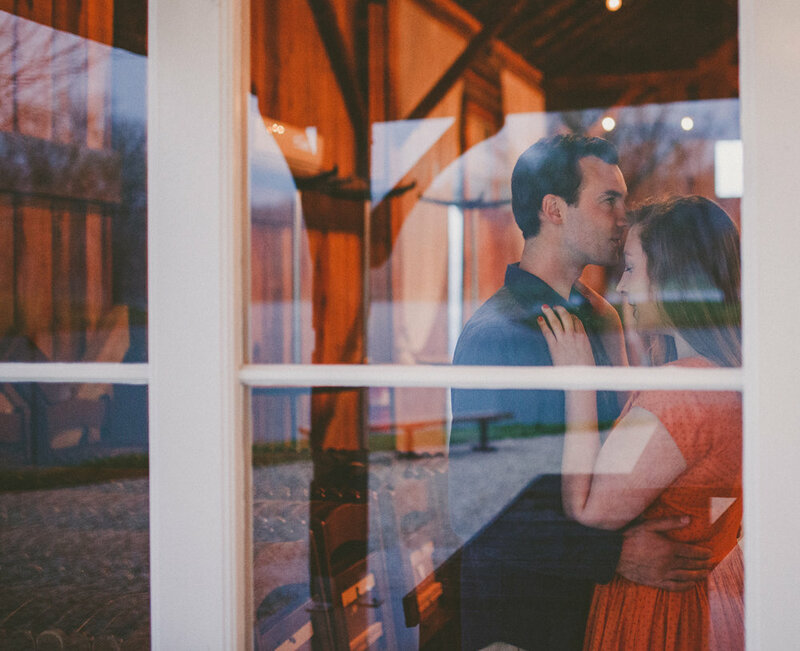 Thankfully the amazingly kind Buddy and Jill at Big Spring Farm opened up their gorgeous barn for us so we could still have the session and hide out during the lightening. I LOVED spending time with Sarah and Dan. Their laughter and tenderness together pulled at my heart strings. We danced, laughed, and um laughed some more. They have a beautiful friendship and love. 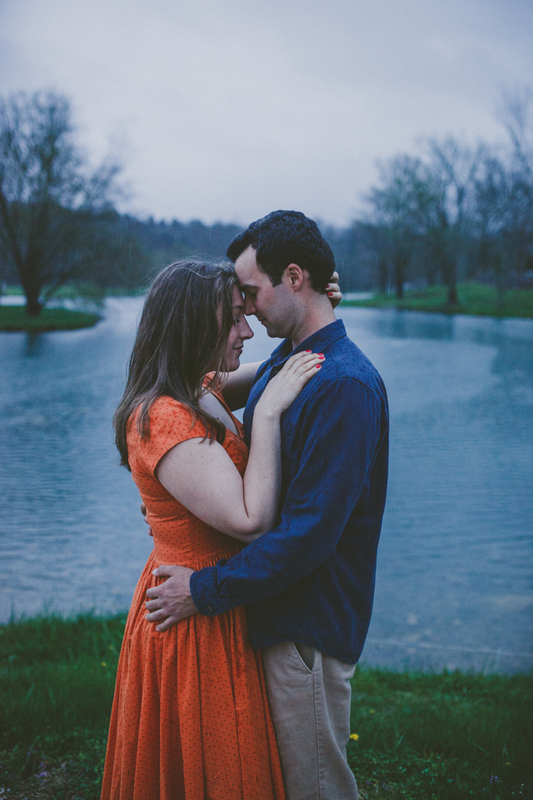 Sarah and Dan thank you so much for trusting me even with the crazy weather! Thank you for opening up and sharing your joy. Thank you for letting me capture and share your love story. You guys are the best!